← Is The Mysterious Chinese Amphibious Ship A Contender In Turkish LPD Bid? TCG Gemik, in Medan. Official Turkish Navy Photo. F-492 TCG Gemlik has finished her visit to Medan Indonesia and proceeded to Kuala Lumpur Malaysia. The frigate was one of the 5 ships that sailed as the Turkish Naval Task Group from Marmaris in June. After finishing their visit in India the rest of the group returned to piracy fighting operations in Gulf of Aden whereas TCG Gemik started her Far East Tour. 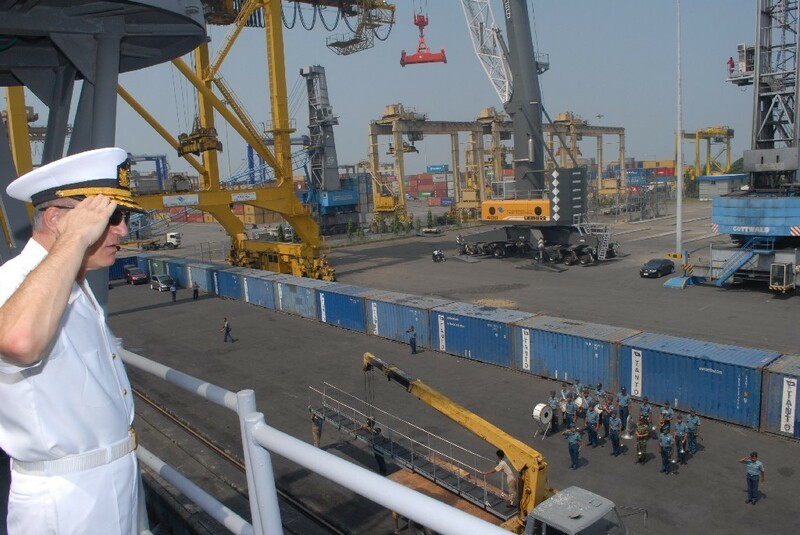 The first stop was Medan, Indonesia. The current stop in Kuala Lumpur Malaysia. She will leave Kuala Lumpur on 23 July 2011. The Turkish Navy did not made the route of TCG Gemlik and the schedules of her port visits public. Therefore it is not possible to say whether besides Tokyo and Shanghai, she will visit other ports / nations or not. But I would not be surprised if she would made stops in Singapore and in Korea. Convoy operations. Official Turkish Navy Photo. In the meantime the rest of the Task Group returned to Gulf of Aden and escorted merchant convoys inside the IRTC between 15 and 22 July. A Turkish Navy delegation visitied the commader of NATO’s SNMG-1 /CTF-508 Rear Admiral Gualtiero Mattesi on his flagship D-553 ITS Andrea Doria. Actually SNMG-1 consists solely from ITS Adrea Doria. That makes SNMG-1 officially the smallest NATO fleet ever. 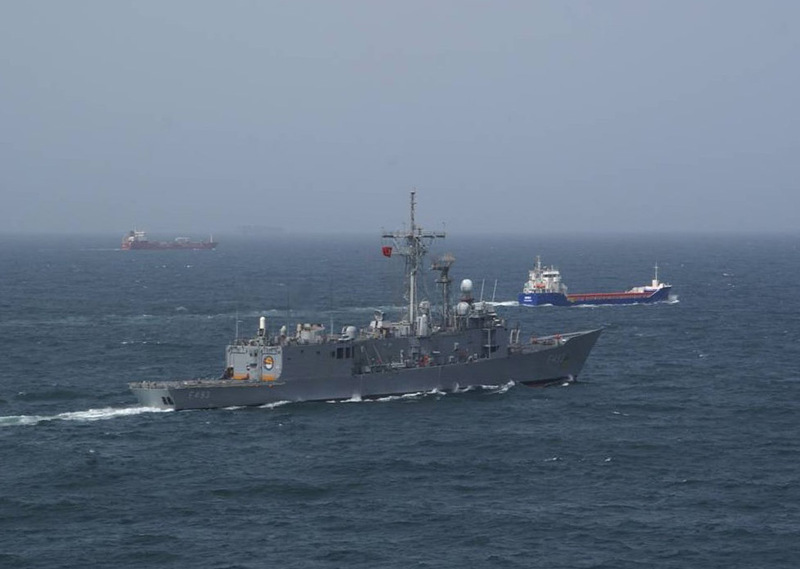 The anti piracy operations of Turkish Naval Task Group will continue till end of this week. On 26 July 2011 F-244 TCG Barbaros will visit Jeddah. The Turkish Navy Task Group minus TCG Gemlik will return to Turkey on 8 August 2011.